TMJ is no fun and can be caused by a structural issue in your cervical (neck) spine. TMJ, or the temporomandibular joint, is the joint that connects the jaw to the skull. It is responsible for opening and closing the jaw. There are several muscles and ligaments, as well as a disc, within the joint that can contribute to dysfunction. When people have TMJ dysfunction, oftentimes they experience symptoms like jaw or cheek pain, lock jaw, pain with chewing, or clicking/pain when opening or closing the jaw. One of the first thing we asses at our structural corrective care chiropractic and wellness office is the curvature within the neck. When you lose your cervical lordosis, or forward curve in your neck, your jaw will be affected. 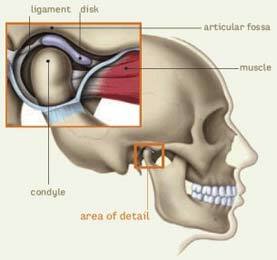 Think of your jaw and skull as a puzzle piece. With normal neck alignment, your jaw fits into your skull perfectly. But when your neck becomes straight (Text Neck) your jaw then gets pushed outwards and the mechanics of how it opens and closes dysfunctions leading to TMJ. As structural corrective chiropractors here at Abundant You Chiropractic and Wellness, we adjust the spine and work on restoring the proper curvature of the neck to alleviate these symptoms. Although most common, correcting structural imbalances or misalignment in your neck are just one way we tackle Jaw realignment can be done manually without surgery or breaking the jaw with a very specific chiropractic adjustment. To learn more about the anatomy of the jaw and figuring out your underlying cause read this blog post. Our Complimentary Consultations will help determine if our office is the right focus for your needs.